Miguel Almirón completed a club record transfer to Newcastle in January and the 2018 MLS all-star brings with him loads of excitement. In 65 appearances for Atlanta United, Almirón amassed 22 goals and 21 assists, and the crafty and creative attacker earned himself Newcomer of the Year honours in 2017 before leading the expansion franchise to an MLS Cup title a year later. The 24-year-old created international buzz as a thrilling playmaker and distributor in the final third during his time in the MLS, and this January finally made his highly-anticipated jump to Europe. After shining in the MLS, Almirón will now have the opportunity prove himself on the world’s biggest stage. But as Rafa Benítez’s newest signing infuses excitement into the club, he also arrives with high expectations. When Almirón makes his debut, he’ll join a Newcastle team that have been held scoreless in 10 top flight matches, scored just 21 Premier League goals this campaign – better than only league punching bag Huddersfield – and sits just above the relegation with 24 points. He’s very much seen as the club’s new potential saviour. Surely part of Almirón’s appeal to the Magpies is his goal scoring knack and ability to help the club stave off relegation, and rightly so. But to expect an immediate impact from the 24-year old fresh out of the MLS over the final 13 league matches of the season would be unfair, and the club and their supporters must be patient with the new man. Almirón isn’t likely to settle in too fast. For starters, the versatile forward simply may not be match fit. It’s been more than two months since Almirón and Atlanta United dispatched the Portland Timbers in the MLS Cup final on December 8th, and Newcastle’s latest addition has not played competitive football since. 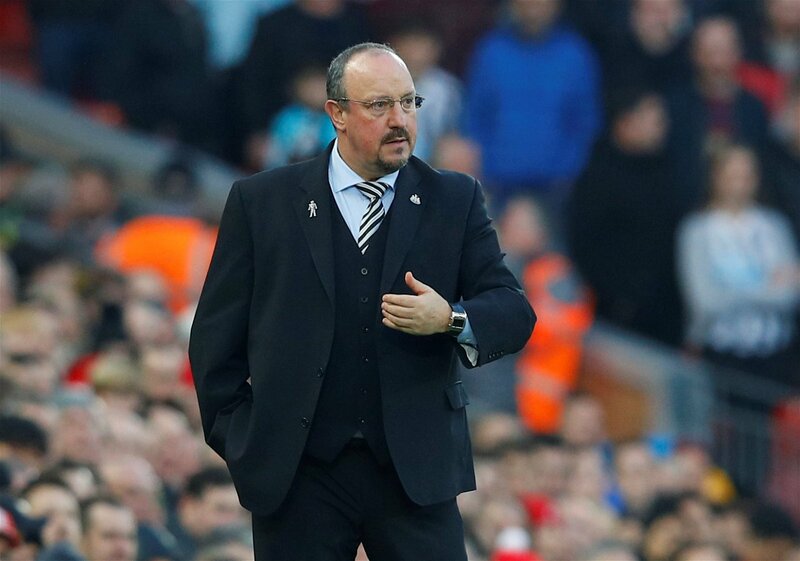 Considering this, it may benefit both Almirón and Benítez’s side to hold off on a debut against Wolves and wait for a match following the coming cup break, such as Newcastle’s meetings with Huddersfield and Burnley on February 23rd and 26th respectively. A lot can be lost during an extended period off the pitch, and the more time given to fall in and regain fitness the sharper he’ll be in the early days of his Premier League career. Possibly an even greater obstacle, though, for the young forward is the challenge of adjusting to Premier League football. Few others leagues around the world rival the competition, physicality and rigorous fixture schedules that England’s top flight offers, and the MLS is most certainly not among them. It’s a gap that’s hindered others in the past. In the brief history of attackers making the jump from the MLS, almost none have succeed early on; most never really succeeded at all. Clint Dempsey mustered just two goals over his first 12 appearances at Fulham in 2007, struggling early before emerging as a talented forward over his Premier League career. Others, like Landon Donovan – two goals over two loan stints with Everton –and Brek Shea – one goal over three seasons with Stoke City and Barnsley – simply never found their footing after success in the United States. Almirón may be greater than each of his MLS predecessors in the Premier League, but their inability to perform early on provides a window of what the young forward’s first few months at Newcastle may well look like. If there has ever been an attacking MLS import with a chance go onto a fruitful Premier League career, it’s Almirón. He possesses the skill and playmaking ability to exist and thrive in the league, and will only get better with time and development. But with the remaining time left in this 2018/19 season, his potential may not be on display, and to expect it to be is unreasonable. Newcastle have a talented attacker on their hands, they’ll just have to be patient with him.